Inside the cardboard sleeve was a paper sleeve. 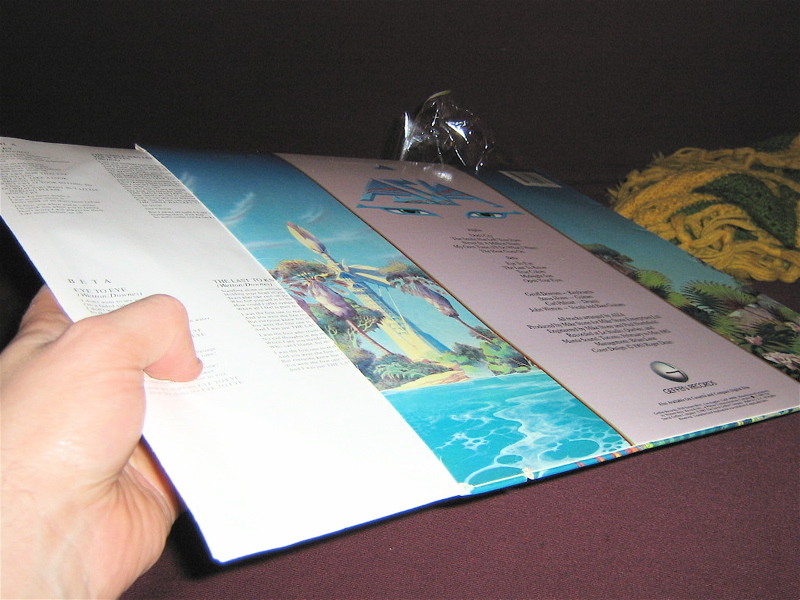 New records usually had lyrics, photographs, and credits printed on these paper sleeves; these were called "liner notes." Liner notes back then were just as insufferably pretentious as they are today, but at least no one gave a "shout out" to their "homies."